For further information or prices on any cruise line please call or e-mail. We will do our best to beat any other quote. 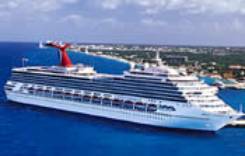 America�s most popular cruise line. Floating resorts that sail to the Bahamas, Caribbean, Mexico, Alaska, Hawaii, Canada, New England, and the Mediterranean. All action cruises akin to staying in a Florida resort. Summer Camp activities for children. Quality cruises to a wide range of destinations around the World. Italian style, aimed at the younger market, with cruises in the Mediterranean, Northern Europe, Caribbean, South America, Middle East and Far East. Children�s clubs, health and beauty spas, and a wide selection of activities and entertainment to suit all guests. Traditional six course dining along with alternatives such as pizzeria�s and a healthy spa menu option. Award winning all-inclusive on smaller ships, Serenity and Symphony. Worldwide itineraries. Every conceivable luxury included � premium drinks, speciality dining, shore excursions, enrichment programmes, Broadway-style entertainment programmes, cinema, gratuities. Also smaller yacht style vessel � Esprit, for a more intimate experience reaching those more secluded destinations, the Seychelles and Adriatic. Traditional, stylish, luxury British cruising. Transatlantic crossings, World cruises, Europe, The Caribbean, Central, North and South America. Lavish entertainment options and health and beauty services. Small, friendly, ships with a very British atmosphere on board. Operate from many British ports, plus a fly cruise programme to the Caribbean and further afield. Worldwide itineraries on mid-size ships. Extensive enrichment activities, spacious accommodation, lounges adorned with art, antiques and fresh flowers. Comparatively small ships, Norwegian staff and crew. Formerly known as Norwegian Coastal Voyages, niche specialist operating in areas of spectacular scenery such as Norway, Chile and Antarctica, Greenland, and Spitsbergen. Little on-board entertainment, small size enables access to ports not visited by larger ships. Italy�s largest independent cruise line. Year round Mediterranean programme, Summer in Northern Europe, Winter in the Caribbean, South America and South Africa. Newest ships offer spacious spas and a variety of dining options. Norwegian Cruise Lines offer sailings around the World, including Dover departures. Pioneered the idea of anytime dining (Freestyle cruising), with no timetable or rigid dress code. Focus on destination discovery on board Marco Polo. Northern Europe and Mediterranean in summer and autumn, worldwide itineraries for the rest of the year. Comparatively small ship with guest lecturers to enhance destination experience. 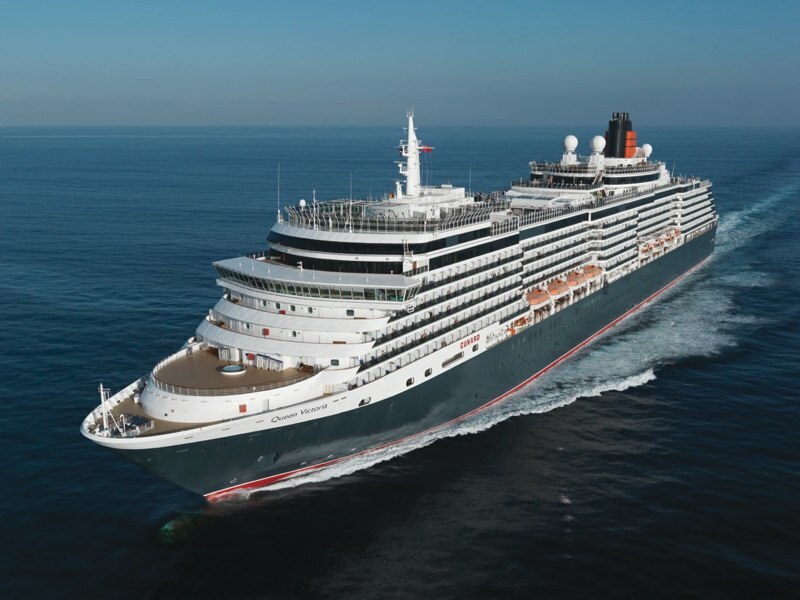 Three family friendly and two adult only ships cruising from Southampton in the Summer to Northern Europe, the Atlantic islands and North America. Caribbean and World voyages during the rest of the year. Oasis Spa and a wide range of entertainment and dining. American style luxury cruising worldwide. More destinations than any other cruise line. Wide range of entertainment, bars and restaurants, with an informal, cosmopolitan flavour. Movies under the stars, spas, weddings at sea. 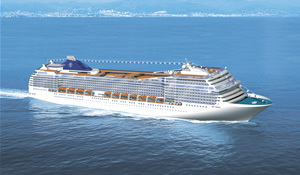 Formerly Radisson Seven Seas, small to medium sized ultra luxury ships to a wide range of destinations. All suite accommodation on two ships. Flexible dining, private butler service, wide choice of activities and entertainment. Fares are inclusive of alcoholic beverages. Modern, innovative cruising, wide range of destinations including Southampton departures. Wide range of onboard activities including rock climbing, ice-skating, and surf riding on certain ships. Full programme of educational and fun activities for children and teenagers. British style cruising with expert speakers, lecturers and guides to a range of destinations worldwide. Four star cruising with the emphasis on informality.